The new Skinny Plain range feature a 6mm wide enamel base mounted on either gold, rose gold or palladium. 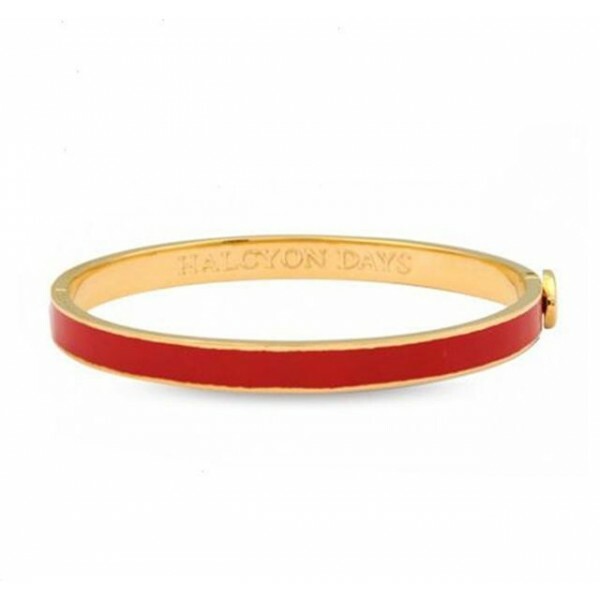 This particular design features a red base and 18ct gold mount, which has been branded with the Halcyon Days hallmark. This is a classic yet stylish piece that will certainly attract attention.